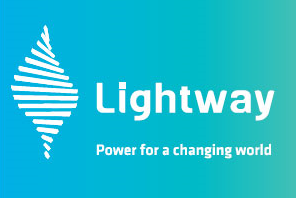 Lightway was established in the late 2000’s in China as a subsidiary of Longjitaihe, a conglomerate of a diversified enterprises operating in the technology, commercial and real estate’s markets. Lightway solar panels production is fully vertically integrated, so that every step of the process is managed in-house, from procurement to final installation and post-sales assistance. The main manufacturing plants are located in China and develops both mono and polycrystalline solar panels with a power ranging from 190 to 305 Wp with a total production capacity that reached 400MW in 2013. The company can also rely on a global network of installers and commercial offices in USA, China, Japan , Australia and other Pacific Asia regions. All solar products manufactured by Lightway are tested by independent international organizations and are ISO, TUV, UL, ETL, CE, Australia CEC and California CNC certified. 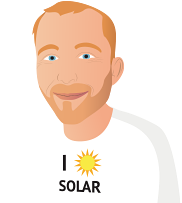 If you want to find out more about Lightway’s range of products, make sure you browse the reviews here below from customers who bought their solar panels in the past, or take a look at the photovoltaic products listed on this page to find the ones that best match your needs and requirements. The only problem that I have encounted is the brackets were were not fitted to one panel and in a strong wind the panel fell off. As I have said, to date no problems, but time will tell. I do not know it the same size installation in another brand would perform any better. The panels used in my system are Chinese and are working fine so far. These panels have performed according to the information, supplied by Solaglex, prior to installation and I am completely happy.